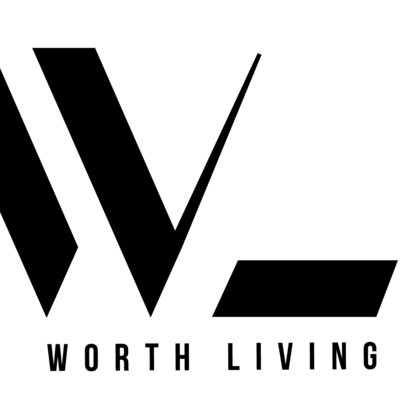 Worth Living - where we share our journeys with mental health challenges. The Worth Living message is one of hope, healing, health, and happiness. Cat Davis joins Keith to discuss natural remedies that helped on their journey through the darkness of mental health challenges. Walking, dance, meditation, yoga, journals, and music festivals. It's full of great suggestions to make your life worth living. Cat Davis and Keith discuss their fears and concerns for the future for their respective personal lives. A very interesting and engaging conversation. Shannon Pierangeli joins Keith to discuss how running allows her to address depression and anxiety. It also provides a great way to have an overall healthy life. Shannon is a Co-lead of the Worth Living Run Ambassadors Program. She is also very active in helping plan some upcoming WL Events. Ashley Quackenbush joins Keith to discuss Volunteering. She is a volunteer with WE and Skate Canada. Her volunteering has taken her to Kenya, Ecuador, and Arizona, among other places. Kim Bolton LaMontagne WL New England Lead joins Keith to discuss her research and personal experience in terms of Mental Health in the Workplace. Keith relates his own personal journey as a lawyer with depression. Tylia Flores joins Keith to stomp out cerebral palsy and mental illness. Tylia is a strong advocate who takes her life to a better place each day. Her faith and determination show her true resilience. Proud to have her on the WL Team. Cat Davis and Keith Anderson discuss their determination to address their mental health challenges. They cover their reactions on being diagnosed, taking medication, and their next steps to thrive in life. Cat Davis, Director of Worth Living USA, and Keith Anderson, Founder of Worth Living, discuss their mental breakdowns. They are different generations, different backgrounds, and even from different countries, but they share mental illness. They have common experiences with mental breakdowns and life after. Amy Leon joins Keith on the latest Worth Living Podcast. They discuss telling friends about their mental illness and the impact on those friendships given the discrimination that exists.They also provide their thoughts on meeting new friends and what to tell them. The navigation can be difficult. We don't edit, we are authentic. The Heartache of Rejection Keith discusses the stigma and why he rejects the use of that word. My first attempt at a podcast. I discuss how depression moved in and took hold of my mind and thus my life. But through the darkness, I am still here. As well, I provide a brief history on how and when Worth Living came to exist.